What are you measuring for success? Do we measure opera singers by their technical skill? Do we measure jazz players by their musical exactness? Do we measure writers by their grammatical skills? If that’s how these artists measured their success, would our souls be moved? So why do we judge ourselves on things that don’t matter to our customers? Being moved to tears by the new Pia de’ Tolomei opera at Spoleto Festival in Charleston this week reminded me how I didn’t even notice the performance’s imperfections. Listening to the amazing improv by Jon Baptiste at the Jazz and Heritage Festival in New Orleans left me speechless. 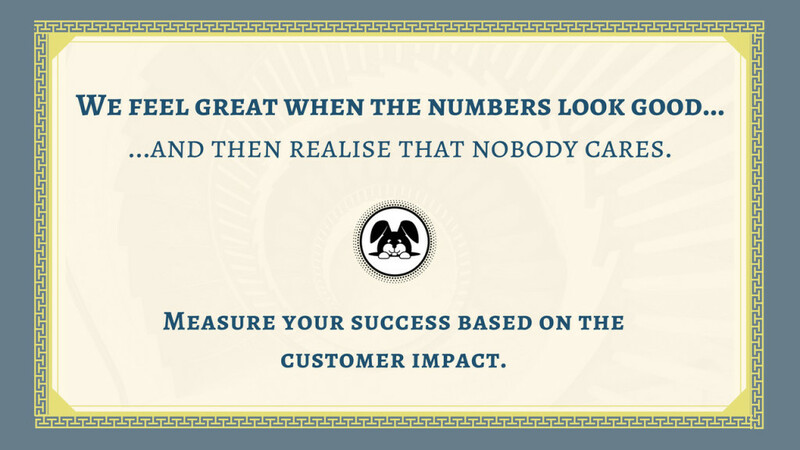 The measurement of their success is the impact on our lives. Yet we still tend to measure our workplace success by numbers that nobody sees or cares about. I recently worked a value stream mapping effort that discovered a report that was thought to be extremely meaningful, yet was literally ignored by every individual. I challenge you to ask yourself … what are you measuring? Is it what we’re putting in a report? Does your report capture the critical mindsets of the team? Numbers are not evil, but they don’t represent success by themselves. Real success is defined by the experience of our customers and our teams. There’s no room for bias, personal agendas, egos, and silos in the environment that is focusing on the customer impact. What are you doing to mitigate the impediments of bias, agendas, egos, and silos for YOUR teams in order to meet customer needs?